Duff Egan used to be Earth Orbit Audio System but now he's under a new alias and this is a brilliant return. I think it's the best thing he's ever done. It feels more organic than his previous work and his production skills have improved overall. I haven't quite finished listening yet but it's awesome so far. New release on Home Normal. Field recordings, guitar, and electronics, layered over sketchy drones. Pretty nice. One of my favorite releases from 2013, featuring Wil Bolton and Lee Anthony Norris. Guess I was on a Wil Bolton kick today! ELP--Brain Salad Surgery deluxe. Great album. Greg Lake, what a voice! King Crimson--In the Wake of Poseidon. Urenga--Mu, the Lost Continent. Ambient dub techno on the excellent gterma label. Great stuff, even better than After Rain, his first one. Robert Plant--Pictures at Eleven. Sublime first solo album. Guitarist Robbie Blunt gives Jimmy Page a run for his money. Phil Collins on drums. An absolutely perfect band and great songwriting. After the equally great Principle of Moments, he went downhill. I didn't know this existed until recently. Cool stuff. I like ambient industrial music. Great to be reminded of this one. The very first Databloem release 12 years ago, when Dennis Knopper and I started the label, later adding Dataobscura, and years later going our own ways ... Dennis (in Holland) turning Databloem into the excellent general electro-ambient store that we know today. Wow, I didn't know that you helped found Databloem. Carbon Based Lifeforms-23.I knew about the label,Ultimae, and thought is was downtempo trance.But this CBL is all ambient,no beats and well recorded.Gentle melodies in there mixed with field recordings. I have a fair few Ultimae releases. Got the "Carbon Pack" a while back which is the first 3 CBL releases. Very high quality melodic orientated ambient. Haven't listened for a good while so will dig them out this week . Also have Aes Dana, Hybrid Leisure Land, James Murray, Solar Fields, Sync 24. All high quality stuff. Best of the lot though is Cell - Hanging Gardens, stunning. Got hold of ........Steve Roach - Mystic Chords and Sacred Spaces 1 and 2 . All I will say is thanks very much to those of you who recommended it in that Steve Roach topic. 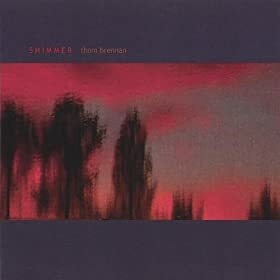 Thom Brennan - Shimmer - Beautiful, drifting, shimmering ambient on a par with Vibrant Water and Mist. 3 fantastic ambient albums. Actually it's a special, limited edition Ultimae release............. which is a hybrid Cell album combined with Carbon Based Lifeforms - Hydroponic Garden. Hanging Masses is very good. Live at Kumharas is phenomenal. I've been playing the 5 album Namlook Silence collection all day. Some wonderful pieces. Silence V in particular is something very special. An ambient masterpiece.......for me. Silence is one of those series on Fax that I just never got into. It's good but not great. I also think it got weaker over the progression of the releases. IMO of course. Ambient microsound. Will appeal to Raster Noton fans. ^ Cell - Live at Kumharas is very nice indeed. Rachmaninoff - The Isle of the Dead, such a great piece.